The G300D is just .67 cubic inches, boasts message timing under 150 microseconds and output data rates up to 8kHz with external sync. This feature packed MEMS Gyro has an extremely low ARW of <0.0028°/sec/√Hz and an option for both 24 and 32-Bit LSB for exceptional resolution, according to the company. Users can configure the G300D to their desired configuration using a Software Development Kit or through software protocols – all designed to simplify the integration process. “The G300D, with a 250 hertz bandwidth, allows users to replace more complicated and expensive gyros for image stabilization applications. 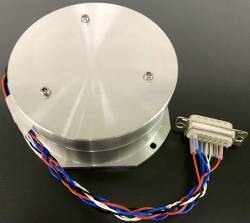 The three-axis package is also convenient for mounting in any orientation for tight space requirements,” commented Rand Hulsing, Chief Scientist at Gladiator Technologies. The G300D gyro is non-ITAR. Further product details are available on the Gladiator Technologies website.